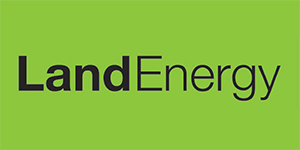 Scotland’s renewable energy sector gets a boost today with a £6.4 million investment by Land Energy Girvan Limited as they launch their new site expansion in Girvan. The firm, a manufacturer of “Woodlets” brand biomass wood pellets for the renewable energy market, as part of their expansion has secured a £250K Regional Selective Assistance grant from Scottish Enterprise in a bid to increase capacity and drive productivity. The investment will see at least 10 permanent full-time jobs created, whilst safeguarding a further 28 jobs. Furthermore the business plans to increase output from 60,000 tonnes to 90,000 tonnes per annum increasing turnover by 50% per annum. Land Energy Girvan’s state of the art manufacturing facility produces premium grade wood pellets using locally sourced sustainable timber. Their pellets contain no additives and are certified by the European Pellet Council with ENPlus A1, the highest quality mark in the industry, which ensures that the pellets burn efficiently and cleanly. “Scotland is home to a thriving and innovative business sector and I’m delighted that Land Energy Girvan Limited are investing in a £6.4 million expansion of their site. This welcome investment is projected to create 10 new jobs and safeguard 28 existing jobs in the Scottish supply-chain supporting generation of renewable, biomass energy, and will reduce biomass customers’ reliance on imported wood pellet supplies. Total imports of pellets to the UK more than doubled between 2012 and 2013. In fact, the UK is the largest importer of wood pellets in the world. Currently Russia and Lithuania are the largest supplier to both the UK and the EU with a 26% per cent share. With Land Energy Ltd manufacturing only the highest grade wood pellet and now at an increased capacity, they hope to have a major sales advantage over the imported product.